Adding steering to your boat is not as simple as installing a steering wheel to the cockpit. A complete steering wheel system is require with all the cables and other components that make a full kit. The best boat steering system is the Bay Star Hydraulic Steering Kit, which is used for single station outboard powered boats and comes with all the components and hydraulic fluid for a high performing steering setup on your boat. 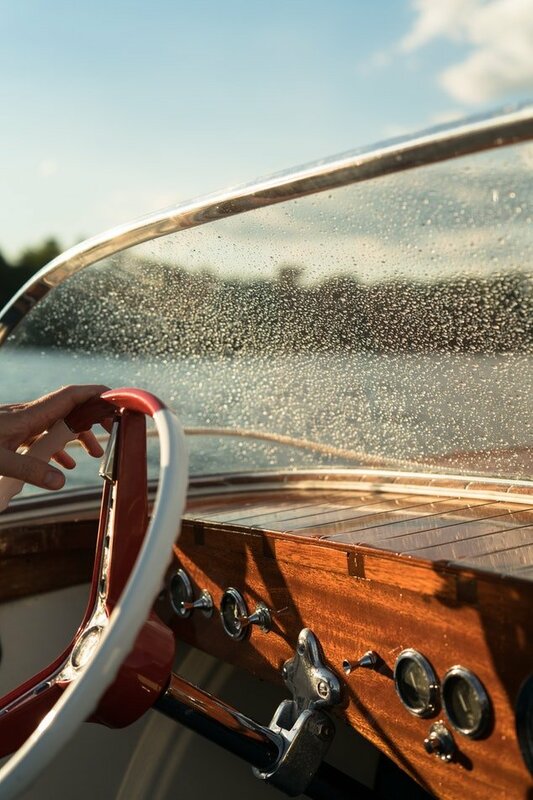 The three main types of boat steering are rack, rotary, power and hydraulic steering with the latter being the most expensive. Its important to note that some system may require converting, which will require mechanical knowledge. All boats require some sort of steering but some need a more complex setup. Mechanical knowledge is highly advisable if you plan to install a boat steering system yourself but failing that, there are many professionals that will be able to do this. Hydraulic steering systems for boats is a clear winner but the price can be scary. For simplicity, the rack system is the easiest to install and the rotary is in the middle. Switching to a more reliable steering system designed for performance will increase your enjoyment on the waters. Below is a list of the best boat steering systems that include hydraulic, rack, rotary and power systems. The BayStar Hydraulic boat steering system includes everything you need and more, from the full length cables to the hydraulic fluid. It has been designed to fit narrow splash wells and provide steering performance for motors less than 150 HP. The hydraulic steering system will provide easier turning at high and low speeds, which makes overall maneuvering much easier. A complete kit like this from a trusted brand will also add great resale value to your boat too, which is a reason for many looking to make a quick profit. Upgrading to a kit like this one is not cheap but certainly a worthwhile investment. The Bay Star is the best hydraulic boat steering system you can buy and has excellent documentation to make installing it easier than expected. Rotary is priced in between hydraulic and rack systems and provides excellent maneuvering of the boat. The SeaStar SS147XX is NMMA and ABYC approved and recommended for a range of boats with sizes ranging from 10 to 18 feet. This rotary steering system uses a patented “no feedback” mechanism with stainless steel cable output ends. It has the ability to comfortable 4.2 turns from lock to lock and has excellent maneuverability for a rotary steering system. It is suitable for the majority of single station boats and this kit in particular can be installed easily and quickly. It is the best rotary steering system for your boat and made with high quality materials such as stainless steel for a long lasting reliable package. For those looking for a precise yet simple installation of a steering kit, the rack system is the best buy. The SeaStar SS141xx provide an easy four turns lock to lock and the package include cables, helm, 90 degree bezel and all the hardware. Like other SeaStar kits, the cable output ends are made using stainless steel and the whole steering system packages are high quality. You do pay a premium for this but an upgrade steering system for your boat is not something you spend little on. A rack steering system is the cheapest type you can install to a boat but it does not mean it is not as good. Many people prefer the mechanical feel and the simplicity of the installation. The SeaStar SS141xx is the best rack steering system with everything you need to install a complete system or repair it. Many people have or are in the process of building a performance boat that requires a steering system dedicated to steering performance. The hoses work at 1,500 PSI and are reinforced with Kevlar with factory swaged hoses for durability. This kit is ideal for high speed single engine outboards that require an enhanced hydraulic steering system for the higher speeds on the water. The upgraded components included within the SeaStar HK75xxA-3 PRO kit are stainless steel O rings, end gland sealing system for protection and a compression set. This is on top of the standard performance cylinders, hoses, helm and other hardware that you would expect included with most steering kits. Overall, the SeaStar HK75xxA-3 PRO is the best performance steering system for boats that require a stronger kit for higher speeds. It is quite expensive but if you are dedicated to upgrading your boat, it is a worthwhile investment. The Uflex Rotech is a universal rotary steering system that features a planetary gear design with 6 contact points for enhanced durability, increase efficiency and a more positive response. The main focus of the Rotech design is to reduce the effort required to steer the boat. To do this, there is a wider wear area to reduce the lost motion that all helps towards the ease of maneuverability. In terms of the installation of this boat steering system, it is a direct swap and it is centered upon the main drive shaft so the helm requires less room behind the dash. There is also no requirement for additional holes that will need to be drilled. Overall, for those wanting to simply replace their current steering system with a budget and universal alternative, the Uflex Rotech is the best buy. Upgrading or repairing your boats steering setup is not the cheapest way of spending money on your boat. As it is costly, its important you get the best boat steering system for your money and choosing the correct kit, that be rotary, rack or hydraulic. Luckily, all of the above come with detailed instructions of how to fit a steering system but many do not. If you have no experience of installing a complete kit, its advised to do extensive research prior to the installation. However, there are many professionals that can fit the kit in less than a hour. Hydraulic systems are known to be the hardest to install whereas the rack is the least complex and time consuming to install. There are three main types of boat steering systems that include hydraulic, rotary and rack. Many boat owners have their own reasons for choosing the system on their boat but below is a breakdown of each. The Hydraulic Steering System is are more popular on the mid to high range boats as the pricing is more expensive and high performance boats require more durability from the additional power and torque. Hydraulic systems provide effortless steering, quick response from the steering wheel and efficiency and are very popular for those that can afford them. The mechanical rotary and rack steering systems are fairly easy to install, much cheaper to purchase and fairly durable. Of course, the disadvantage is that there is slightly more effort involved when maneuvering the boat. Whether you are performing a repair of your current boat system or upgrading to a hydraulic boat steering system, the five noted within this article are the best around. If you have a performance based or powerful outboard motor, you really should be going for the hydraulic steering system. Considering the prices of the steering systems, the prices of the high quality boat steering wheels are much less and you can upgrade and add value fairly easily. 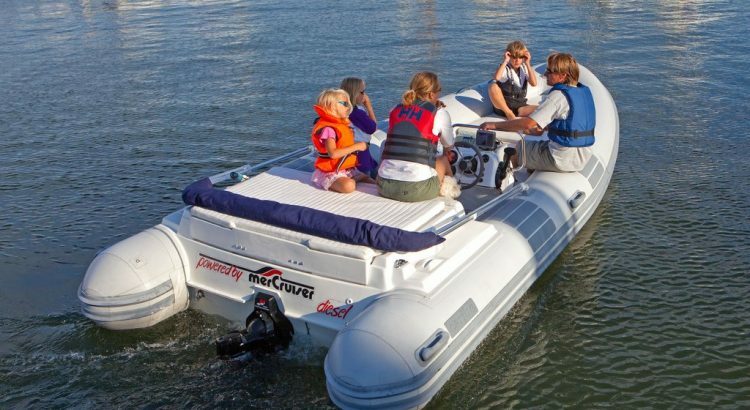 I’m buying a 20 foot Sea Ark tunnel aluminum river boat with 150 hp Yamaha jet (105 hp at jet). The dealer here (Anchorage, AK) doesn’t normally install Hydraulic steering in these boats, however I’m pretty sure Hydraulic is what I want. I am a little worried about the 4 to 5 turns lock to lock that these Hydraulic systems seem to have, as a quick response is required in order to dodge rocks etc. Back in the 70’s I had a stick steering system on a 50 hp jet boat that was really fast and I was hoping to find a similar quick steering system but there doesn’t seem to be any. Perhaps the easier hydraulics will make up for all the helm movement. Would the Sea Star HK75XXA-3 work with the above motor? I know it is overkill, but I’m wondering if the stainless and Kevlar hoses would be worth the extra money. Hey Karl – The Sea Star is a great setup and it is always best to spend the little extra for the better quality (i.e. stainless and Kevlar components). It is hard to give an exact answer as I would need some more details with regard to the outboard but I am sure it would work and give you the performance you require.